While the Ferrari Daytona, or 365 GTB/4 to give the car it’s proper title as Enzo intended, is regarded as one of the finest GT cars of all time and remained prized amongst Ferrari aficionados for nearly half a century, there will always be someone who is looking for something …a little bit different. 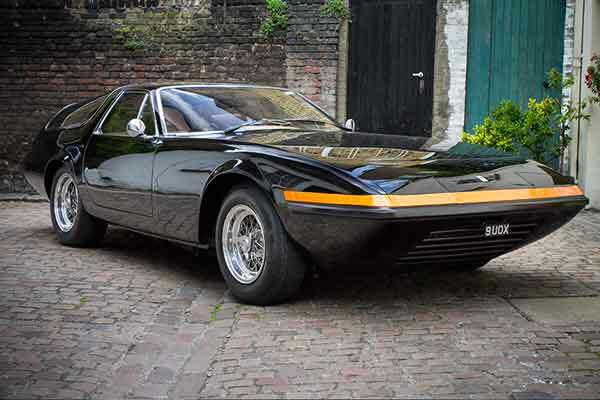 The idea for this Ferrari Daytona Shooting Brake came about in the early 1970s, when real estate developer Bob Gittleman strolled into Chinetti Motors in Greenwich Connecticut asking for something ‘a little bit different’ and Coco Chinetti was only too happy to oblige. 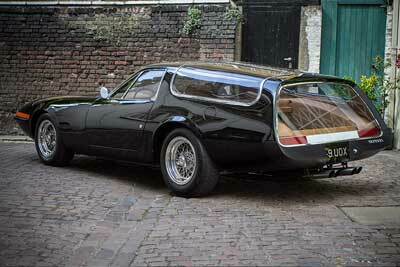 With the drawings completed, the shooting-brake coachwork was completed by Panther Westwinds in Surrey, UK at the cost of approximately four new Daytonas. Unlike traditional shooting brakes, this car doesn’t have a regular tailgate but more befitting, gulling style rear side windows for access to the luggage and even more kerbside show (well you can never have too much). 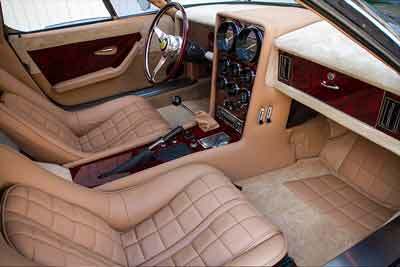 As you would expect, Chinetti didn’t scrimp on the interior, which was revised over the standard Ferrari Daytona. 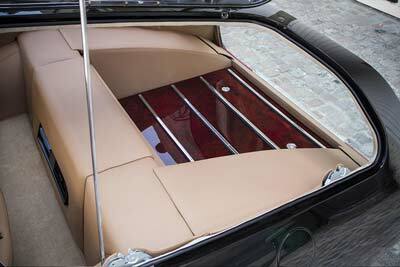 Instruments are mounted centrally in an opulent wooden trimmed dashboard and the luggage space rear cargo floor is clothed in wooden decking. Delivered to Gittleman in 1975, the car remained in his possession until 1980. The then car passed through various hands until Hexagon Classics acquired the car in 2014 and set about a comprehensive restoration, employing the very same craftsman who built the car at Panther back in the day. 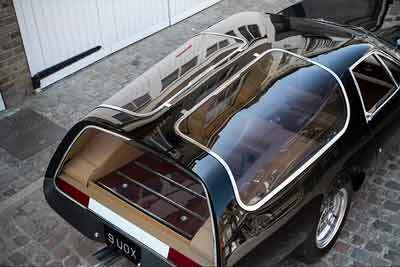 This unique Ferrari Daytona is for sale through Hexagon Classics. This one of a kind Ferrari has also benefited from a bare metal repaint and mechanical restoration by an official Ferrari service agent and is in concours condition, backed up by the fact that the car made quite a stir on Hexagon’s Salon Privé stand last weekend and was entered into the Post-War Coachwork concours class. The car is now ready to start the next chapter of its life and find a new home as this very unique Ferrari Daytona is for sale through Hexagon Classics.